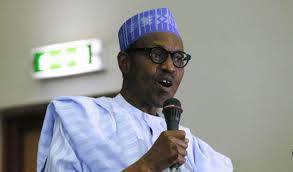 The Movement for the Actualisation of the Sovereign State of Biafra (MASSOB) has said the statement from President Muhammadu Buhari, that political future of Ndigbo depends on him, is a another hypocritical plan to deceive the people of Biafra. The group said the political future and every other futuristic existence of Ndigbo can never be dependent or attached to President Buhari or any other Hausa-Fulani man. This is contained in a statement signed by MASSOB’s leader, Uchenna Madu. MASSOB said it is not bothered about the president’s statements, who is a Fulani man, because “ the people of Biafra are no longer easier to penetrate with frivolous, empty, deceitful and hypocritical statements. MASSOB described as abomination and a taboo in Igbo land, to say or think that Ndigbo will depend or rely on Hausa-Fulani man for political, economic, academic, social, religious survivals unless President Buhari is referring to the misguided and uncultured Igbo.